The Duchess of Cambridge (who, yes, is still Kate Middleton to us) isn't slowing down for baby number two just yet. 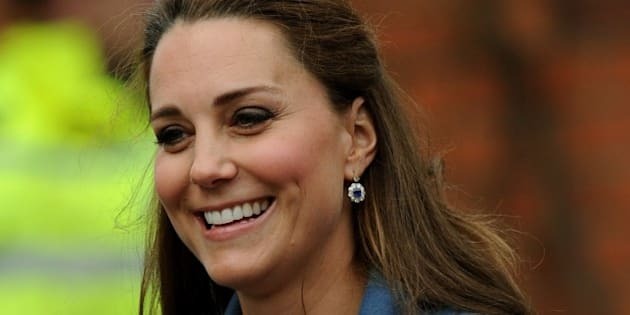 Following the release of her empowering PSA on mental health this month, Kensington Palace has taken to Twitter to announce that the Duchess will be heading to Kent, a county southeast of London, on March 11. During her two-stop visit, the pregnant royal will visit Turner Contemporary Gallery in Margate, geting a second look at the Van Dyck self-portrait she privately viewed earlier in February. Following her gallery tour, the Duchess will meet with local artists at Resort Studios in Cliftonville. Hello Magazine speculates this official outing will be her last before maternity leave. The Duke and Duchess confirmed in December that their second child is due in April which, in our opinion, still leaves them plenty of time to make a few more appearances. So what will the Duchess be doing until the approximate hour-long journey to Kent? According to the official Twitter account for the British Monarchy, the Duke and Duchess will be present at the Commonwealth Observance on March 9th.